Davis said police are collecting evidence and offering a $69,000 dollar reward to anyone with information that can help solve the crime. "He's a loved guy on the BPD," Davis said. Davis said Suiter and his partner were in the Harlem Park neighborhood in West Baltimore Wednesday, investigating a 2016 murder when Suiter saw a man engaged in suspicious behavior. 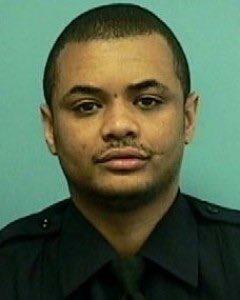 Suiter was shot as he approached the man in an open space between two vacant row homes. Mayor Catherine Pugh issued a statement calling Suiter's death "a tragedy." She called on city residents to "come together to make our city safer for our residents and for the law enforcement officers who risk their lives every day to protect and serve us." On learning of Suiter's death, Governor Larry Hogan issued a statement saying he and First Lady Yumi Hogan were "heartbroken" by the news. "It's difficult to express the sadness--and anger--that comes with losing this dedicated public servant to such a cruel and senseless act of violence," he said. "The state of Maryland will continue to support local law enforcement as they hunt down the individual that committed this heinous crime and ensure that the full force of justice is brought to bear." With six weeks left in 2015, the homicide rate in Baltimore has set a new high for the city, surpassing the previous record set in 1993. The city saw its 300th killing of the year over the weekend; since then, gun violence has killed five more people. 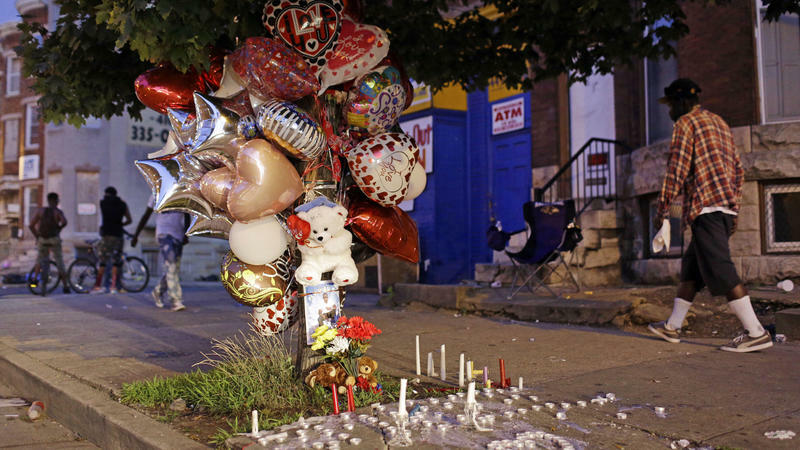 Those homicides raised "the city's per capita homicide rate — based on the recent population estimate of 622,793 residents — to 48.97 per 100,000 residents," The Baltimore Sun reports.